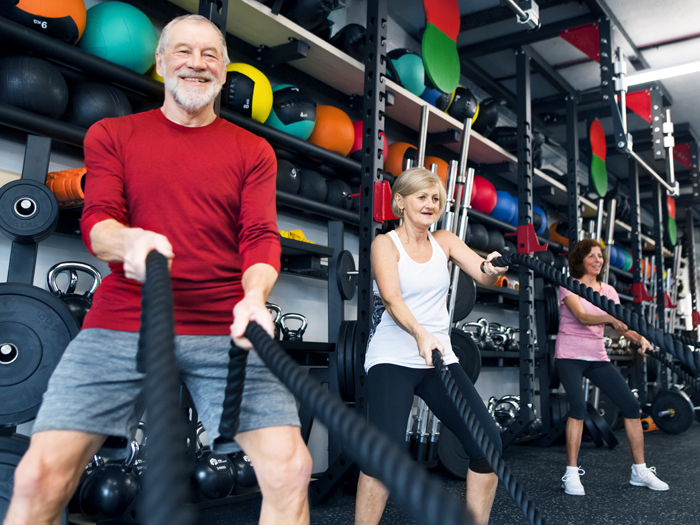 Is CrossFit Safe for Older Adults? This high-intensity training style is effective but controversial. Should you try it? Not before you read this. When CrossFit hit the fitness scene, it seemed poised for roughly 15 minutes of fame. That was nearly two decades ago. Known for its camaraderie, competitive atmosphere, and challenging classes, CrossFit is clearly here to stay—despite confusion about what it is, and controversy over what it does to your body. 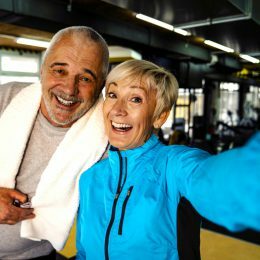 And though it’s not as trendy as it once was, it’s gaining in popularity among older adults, partly because it targets the functional fitness areas that seniors care about most: strength, endurance, balance, flexibility, and coordination. So let’s set the record straight. Here’s what every older adult needs to know about CrossFit. CrossFit is a high-intensity training program designed to help you build functional strength and cardiovascular endurance through extremely varied workouts. Each session, or class, includes a workout of the day (WOD) that uses the most effective, efficient movements from weightlifting, gymnastics, rowing, and more. All WODs can be adapted for people of any age or fitness level, according to the CrossFit website. But one thing is for sure: They’ll always be challenging. Does that mean you should completely avoid it? Not necessarily. “What I have seen is that CrossFit is one of the best systematic approaches to giving participants an opportunity to learn and practice technical movements as safely as possible,” Helming explains. As part of that systematic approach, most gyms require new members to take an On Ramp or Elements course that teaches proper form for the nine foundational movements of CrossFit. After you complete that course, you can sign up for regular classes. Still, that doesn’t eliminate all of the risks. CrossFit participants have a reputation of pushing themselves hard—possibly too hard, leading to injuries. According to a study in the Orthopaedic Journal of Sports Medicine, the injury rate in CrossFit is about 20 percent, with injuries of the shoulder, lower back, and knee being most common. However, the same study found injury rates decreased with the involvement of proper trainers who can coach participants on their form and guide them through the workout. One reason proper guidance is crucial: There’s one prescribed WOD for all CrossFit participants, regardless of fitness level or experience. A knowledgeable CrossFit coach can help participants choose the right weight, adjust the number of repetitions, and modify or substitute certain exercises. For that reason, it can be safe for all ages—as long as you work with an experienced coach who can help you scale workouts based on your health, fitness, and skill. Before you try any new physical activity—especially something as intense as CrossFit—talk to your doctor to be sure it’s safe for you. Some traditional CrossFit movements involve pushing or holding weights overhead, which may not be recommended for those with shoulder problems, or lifting heavy weights straight off the floor, which requires a lot of strength in your hip and torso muscles to keep your lower back in a safe position. How do you find that ideal community? Follow these steps before you commit to your first WOD. A CrossFit Masters program is specifically tailored to people ages 40 and older. 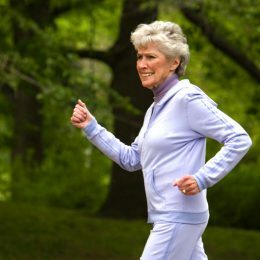 And coaches are specifically trained on age-related risks—and how to scale workout load and intensity. For instance, a 60-year-old instructor named Elena leads the Masters program at Helming’s San Francisco gym. “They still do deadlifts and cleans, but they do it at levels that are appropriate and scalable for them,” he says. 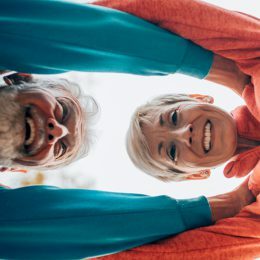 Finding a community with other older adults will help you train at an intensity that is appropriate for you and your peers, which will reduce your chances of injury, Helming says. It also helps you stay motivated and inspired by your peers. You can find CrossFit gyms near you on the official website. After you find some options, visit each specific gym’s website to see who the coaches are, how long they’ve been teaching, and their certifications. If you don’t see a Masters program mentioned on the site, call to ask for more info. Before you join a CrossFit gym, request a sit-down meeting with the coach you might work with. You can voice your concerns and learn exactly what to expect from the sessions. Unlike picking a standard gym, the community and coaches are incredibly important in CrossFit. If your meeting goes well, schedule a time to come back and try or observe a class to see the coach in action. CrossFit will be a challenge, no matter your fitness level. If a box jump doesn’t work for your body, do a stepup instead. That’s not right either? Swap in a lunge, and feel free to tweak it until you find the best lunge variation for you. Start slow and listen to your body as you progress. Some discomfort and muscle soreness will be totally normal, but don’t be afraid to speak up if the intensity starts to feel painful—exercise should never cause pain. Your coach is there to listen and help you advance in a way that’s safe and manageable for you—or tell you when to stop and rest.